The immune system is not responsive to drugs for healing. Antibiotics used to fight infections actually depress the immune system when used long-term. But natural nutritive forces, like healing foods and herbal medicines can and do support the immune system. 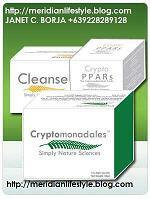 By rejuvenating the cells, we rebuild immunity; health is naturally restored and disease disappears. To strengthen the immune system, one must address the needs of the whole body. A strong immune system is essential for health. It is a very complex system of the body, involving the skin, intestines, nasal mucosa, blood, lymph and many other organs and tissues. Factors that impair the immune system include nutrient deficiencies, contaminated air, water and food, unhealthful lifestyles and too much exposure to harmful microbes. Other factors that weaken the immune system are negative attitudes and emotions and the presence of toxic metals, toxic chemicals and biological toxins in the body. Others are sluggish metabolism, lack of rest and sleep, excessive stress or too much exercise. As these causative factors are removed or corrected, the immune system improves. The Immune system is a group of cells and organs that work together to fight infections in our bodies. Some of these organs are the thymus, spleen and lymphocytes. The Immune System protects our body from pathogens, disease-causing agents, such as bacteria. There are two parts of the Immune System called nonspecific defenses and specific defenses. Nonspecific defenses, also known as the innate immune system, guard infections. These defenses can find foreign tissues, but do not recognize a particular invader. Specific defenses, also known as the adaptive immune system, can track down pathogens that passed through the nonspecific defenses. It can distinguish foreign cells from self-cells. Antigens are molecules such as bacteria and viruses that are found on the surface of a cell and stimulate the immune response. Antibodies, also called immunoglobulins, which are Y-shaped proteins that specifically attack the cell, fight these antigens. Whenever a pathogen is able to pass through nonspecific defenses and must be fought by the rest of the Immune System. B-lymphocytes, also called plasma cells, produce various antibodies that attack the antigens. However, the Immune System can sometimes make mistakes and cause autoimmune diseases. These diseases, such as lupus, are caused when the Immune System attacks its own cells and tissues. The Immune System also has a method of stimulating resistance in the body to a specific disease called immunization. There are two types of immunization, active and passive. Active immunization is when the immune system of the person with disease is activated and vaccines are often used. Passive immunization is when antibodies from another organism are given to the one with the disease. The Immune System is vital to the survival of the human being.